The lightweight Sixton-A drone produced by Italian firm Alpi Aviation. Farnborough, England (CNN) -- They are now a familiar presence in war zones, but if manufacturers have their way, skies over civilians heads will soon be busy with unmanned vehicles. Drones are currently a growth industry in the aviation sector, with scores of new companies competing for a slice of the market. And if they can clear hurdles that currently limit their deployment in friendly air space, pilotless planes of all shapes will be taking to the air on missions to watch over us. Some of the aircraft -- from devices barely bigger than a paper plane to formidable missile-sized systems operated by five-man ground crews -- were on display this week at the UK's Farnborough Airshow. Although the event, held on alternate years, is one of Europe's biggest market places for traditional aircraft, a "drone zone" occupies a substantial slice of the exhibition space. "There now are hundreds of companies competing for the market," said Konstantins Popkis, chief technology officer for the UAV Factory, which produces a 3.3-meter wingspan drone known as Penguin B. "But not all of them are producing reliable systems," he added. Reliability is likely to be a key issue for drones aimed at civilian use as the industry lobbies aviation regulators to gain access to skies that for the most part remain off-limits. Another issue is privacy. Most drones are built with surveillance in mind. Top-of-the-range systems bristle with radar and infra-red cameras that can produce detail of the ground from great distances, even in poor weather. UAV Factory's $50,000-plus Penguin B is built for more modest operations, but Popkis says many of his customers are civilians looking for monitoring capabilities. 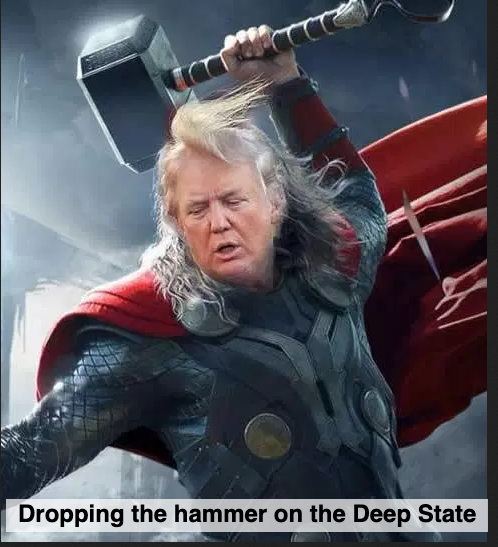 He says he has taken orders for his catapult-launched craft from military researchers, but also from scientists and commercial ventures. He says environmental campaign group Greenpeace has also acquired two for monitoring the Arctic. Penguin B, which Popkis claims has clocked a record-breaking 54-and-a-half hours of continuous flying, is competing at Farnborough with several other systems designed for similar use. Among these is the Alpi Aviation Sixton-A, which uses three helicopter-style rotors to lift a lightweight drone roughly the same diameter as a trash can lid. According to Massimo Petrusa, Alpi's sales and marketing executive, the Sixton-A is already in use by the Italian military, but civilian use is now the target market. "I believe the future for these things is civilian," he said. "Instead of hiring 10 night guards to patrol somewhere, you can use two helicopters piloted by a computer -- it's much cheaper." He said his company's drones had also been recently deployed to survey areas affected by the earthquake that hit Italy in May. Other drones on sale or display include the iStart, a new ultra-light drone that can be carried in backpack and launched by hand, and the S-25, one of a range made by Austrian firm Aerie, which take off vertically, but fly like conventional planes. Such is the growth of the drone market that it has created a secondary industry, offering training, advice and support. The Association for Unmanned Systems International holds an annual show in Las Vegas and lobbies governments for greater access to civilian skies. Andrew Duggan, managing director of Insitu Pacific, is among those hoping to expand the non-military use of his unmanned aerial vehicles. His latest system, the Integrator, succeeds an earlier aircraft that has clocked up tens of thousands of military service hours in Iraq and Afghanistan. It has also seen service monitoring marine mammals off the coast of Australia and in firefighting situations. 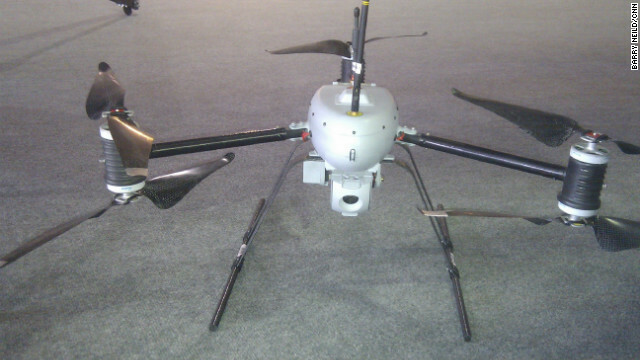 The Watchkeeper drone made by European defense contractor Thales. But he says, resistance from bodies such as the U.S. Federal Aviation Authority, which earlier this year agreed to roll back some limitations on lighter drones, has curbed significant use elsewhere. "There is no aviation authority in the world that will allow you access for 24 hours," Duggan said. He puts this partly down to the considerable bad press armed drones have attracted flying U.S. military missions over Pakistan and Afghanistan. Last week a suspected U.S. drone strike killed 20 people in northern Pakistan. "A lot of it is down to the stigma around the term 'drone' because of incidents (in) Pakistan and Afghanistan," Duggan said. "People are hung up over privacy, but it's a lot of unnecessary drama. They are no different from having a police helicopter over your head, or a security camera pointed at you." But there was caution at the top end of the market in Farnborough. 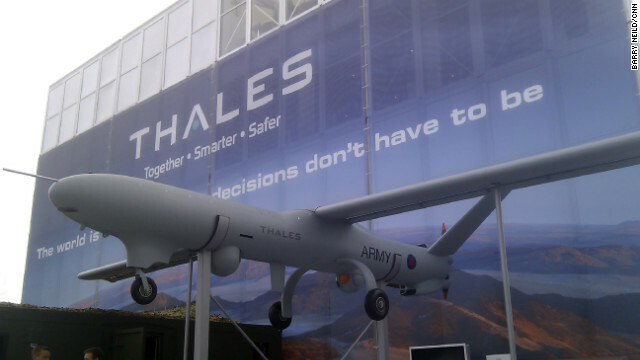 Matt Moore, head of unmanned aerial systems tactical planning at European defense contractor Thales, also hopes his company's new Watchkeeper system -- a large and sophisticated aircraft developed for the UK military -- will have a civilian life. But, he says, the only reason Watchkeeper currently enjoys limited clearance over UK civilian airspace is because some of the $1,100 million invested in its development has gone to ensure it exceeds safety requirements. This, he says, is not something that some lower-cost drone manufacturers can claim. "Unlike many of these unmanned aircraft now hitting the market, the Watchkeeper is built to a standard that is better than a manned aircraft. Its computer system does not fail. It can't go wrong or fail and you won't get the computer blue screen of death."